This post turned out pretty long because it really touches my life in a very deep way. In preparing this I normally reviewed one episode per day, wrote my reactions, and then let it roll around in my head until I was fully recharged and ready to go again. This is an important episode for me, since I share two clips that really affected my world view. One of the things I intend to do in 2012 is find people who are doing something I wish more people would do & promote them. I strongly believe more people should build businesses, or take ownership in their life. Embrace freedom and liberty. This could mean being a great employee, building a side business, or building a business as the primary use of their time, energy, and brain power. A business is simply a person or group striving to make trades so that what the business has or produces turns into more money than it took to gather or create the good or service. 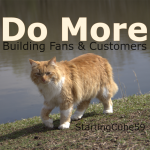 I boil it down to – help people, or provide value to customers. There are ways to make money that don’t fit into the win-win situation, but that’s not my focus. There is no fraud, corrosion, theft – I am going to promote people who see desire unfilled & fill it. That is one of my foci for 2012. Many of the top downloads of this month are episodes I return to over and over. This one has been heavy on my mind since I am very motivated to accomplish some major tasks. Some projects I pursue for a minimum amount of times, like Matt Cutts described. Other times I go through the process Seth Godin outlines. This year I know I will do a few new things, but I also see major changes in my life … and that’s merely with the known. There is a lot still unknown, so I have to both try new stuff & leave enough room to add more later. The final thing I’ve been thinking about is deadlines for reevaluation. Both with Seth & Matt the idea is to have a period of time, then you evaluate and move forward again. You don’t have to sign a life commitment to doing something, but you do need to act. However, I frequently see people who make life commitments with no system in place for reevaluation, and thus they keep doing something for too long … I am also very guilt of this, because I get caught up in just getting things done. We need more businesses in the world. With all that has happened over the past month, if not months, one thing I keep going back to – How can I help there be more businesses in the world? 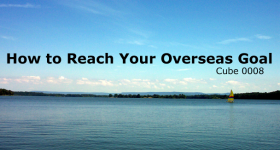 I’ve learned to be financially independent & have been a non-conformist for most of my life. Now the focus is very small, first take care of my family, then after that … in the very limited time I have … help people who are providing private solutions to public problems. Most businesses and many organizations do just this. Now that I am focusing on this, I am going to set some goals. It’s what I will continue to think about … what is taking up time, energy, or brain power in my head? Should some of the decisions you make be left to others? The last statement in this clip really hit home. If we load up our lives with no room or margin then we are setting ourselves up for pain, suffering, or at least struggle down the line. It’s one thing to really push toward a goal in the short term – it’s another thing to have a lifestyle where you have no periods of rest, or ability to increase the work you do. Due to the old English, I think this is one of the harder clips for me to listen to, but it is also a very deep one worth listening to from time to time. If you could not do that one thing that you really desire to do, you place your pride on, what would you do? Some of the hardest times I’ve been through are times where the ideal path to my dreams is blocked. Something happened, good or bad, that has made life more complex. The advice of helping people, reaching out, connecting with those who support you is a great step anyone can take. 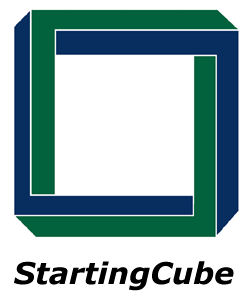 The plan in late 2011 was to start a new season of Starting Cube in January 2012. Then we found out another baby is on the way, so I will be focusing on some other projects. Cubes for the next season are being gathered, so if you find something that would fit please send it in. The next season should begin in either May or August, with August being more likely. If you are interested in receiving news either sign up for the email list, like us on Facebook, follow on Twitter, or circle on Google Plus, wherever is natural for you. You might also be interested in the main focus for Jonathan is AllyNation. Re-listening to my own episodes is often interesting and painful. I can pick up all the little things I would do different today. It’s also interesting how the cubes mean different things depending on what is going on in life. Paralysis of analysis is something that I can suffer from. Another, and opposite, issue is trying too many things. Starting, doing some action, in a small way is important. The current book I am reading is Great by Choice by Jim Collins & one of the first things it talks about is having bounds on the minimum and maximum action you take in a period of time. If you have been thinking or planning on doing something, action – even if as small as putting a seed in the ground – might be just what you need to make your dream or legacy a reality. I manually do some stuff on a 401k account my wife has with her work. Most people set allocations & forget it. I consider the current setup & tell them to put new money into the accounts that are lower than my ideal. At times this can seem like a rather minuscule thing to do. Open a spreadsheet, read some numbers, adjust a couple of settings on a website, but I have added one more thing. I can look back on graphs and see how the numbers have changed over time. I can then compare that to the data of if I had just done it the normal way & measure the difference. The message to me, today, is not about winning or loosing – it’s keeping in mind how you measure your progress & then keep going. How do you know the start and end points of the race & keep those in mind. We are in a time of the year where I try to dream. You are sitting on a boat in the middle of an ocean. You might not feel it – but you are moving. You are drifting. Drifting is a terrible way to go anywhere, being intentional is much better and more fulfilling. What do you thinking about? Where are you heading? Why do you get up in the morning? How do you spend your time? T#4. 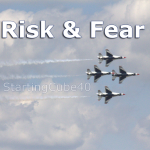 Cube 51 – The Right Stuff !?!?! A tale about selling your soul for too little a price. The thing with this cube is that I doubt most employers or individuals really understand the harm they are putting themselves in. Humans tend to focus on either the current desires that are strongest, or the long term desires that are in the distance. We often don’t consider the impact of the day to day long term. Part of that is the fact there is unknown. 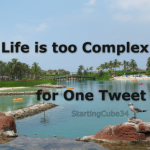 Part of it is the issues presented in Cube 25 about a good life. 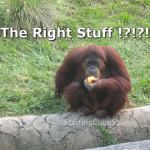 The question really is – is what you are getting the right stuff or not? Listening to this episode after digesting the other 4 in this top 5 downloads is very fitting. You really have to go through the internal setting of general direction before you take action, but then you have to take action. Sometimes you need major changes, most of the time you need small ones. What are you going to do during the next 30 days? If you like, send me a message – either publicly or privately. Just a simple “thanks” would be great, or tell me a change you are striving for. This is being released a little later than normal. Next week either here or on AllyNation something on the plans for Starting Cube, along with lessons learned shall be released. With October, there were a couple more episodes that were tied with the others, but instead of highlighting all of them I limited the total to 6. It’s been great re-listening, thinking, and being reminded of the great ideas in each episode. You might consider just pulling up the random cubes page from time to time and listening to one of them it draws for you. Start small, focus on wants and needs of those who can pay & improve what you offer. This is a great business model anyone can follow, but the key is to start. It’s encouraging to look at history and see how industries and products have evolved over time and understand that you don’t need to launch with the perfect product, simply launch with something someone is willing to pay for & build upon it. 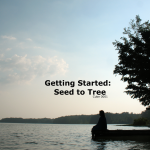 Sometimes, when you start, that someone is you – investing your own resources into the project. This is not unique, but even if the second group is successful in forcing the wealth of the first group from them, given enough time the first group will still be better off and the second group will be in about the same place — because of what they are becoming. This really outlines a major difference between how I desire to build and do business, compared to others. It’s interesting how he mentioned “what you are becoming” and focusing on needs – outlined in the previous two episodes. I listen to this & realize there are some areas I need to study still. Soundbites tend to either be right what a person needs, or the opposite. People who tend to run hard at any project need to slow down, those who wait for perfection or all the green lights need to act. Just having one rule of thumb tends to have terrible results when the situation changes. Figuring out who you want to help is a key part of doing anything involving trade or business. Given enough time – you will hire someone to do something for you. It might be someone to clean your car, walk your dog, mow your grass, or something for your business. This episode is not exactly saying “you get what you pay for” but it is saying that if the market rate, or rate from someone you trust is significantly higher than another bid … monkeys might be involved. 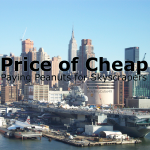 This applies to both how you should price yourself, where you are not a monkey, and when hiring people. Some of the saddest times for me is when I go back through notes and see lessons I had realized years ago, but did not make a change. One of the reasons I like sports is that they are always focused on achieving a worthy goal. Win the game, win the match, win the Superbowl, gold medal, or championship, but they also mirror the issues that we have in life. I’ve learned a lot from sports, both participants and commentators, over the years about achieving success, but the biggest thing is dealing with failure. This is being released a little late, but for information & just the process of re-listening to each episode is really good. In September I took a good amount of time thinking about my thinking, which is talked about in this cube. I tried to go one step farther & wrote down both things I knew and know I do not know. 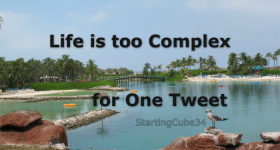 It inspired several posts, and has allowed me to relax on the release schedule for StartingCube. Even caused me to decide to take some time away from producing cubes. Now I am working on picking the things I need to do to progress towards my worthy goals. It’s no shock in a month with no new releases that this episode would be the highest downloaded, it’s that good. Change happens. Ask anyone over the age of 30 and they can tell you of all types of changes in industries, technologies, and their community that has changed over time. We also live in a time where large groups of people are desiring change to occur, no matter if it is with the economy of government – generally people both desire and fear change. This episode does a good job of sharing examples of people who have both adapted and hid in their shell, attempting to keep eating on the cheese that is already gone. Incentives are vitally important in any organization. 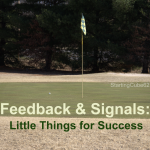 Feedback systems are ways to communicate the incentives to the people involved. This is something that I think about on a regular basis when working with clients, students, and partners. This has been a great inspirational episode. 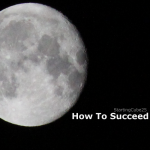 Matt Cutts does a great job outlining a way to make major change in your life. The set a due date, outlined by Seth Godin, has also been used successfully many times. I get out this episode every time I have a new idea for a venture. 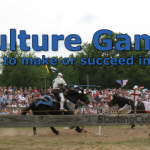 The right culture is important, this goes well with the incentives discussion in Cube 62 & many others. It also applies to all organizations you might be involved with, especially those who have lasted a good period of time. T#5. 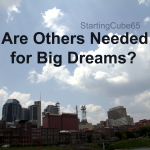 Cube 65 – Are Others Needed for Big Dreams? Leadership is a word that many use, but often the speaker does not mean what you understand them to mean. Desperation is a strong motivator. It causes a person to develop a new and different solution to a monstrous situation. 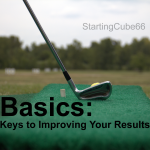 Basics are always a good thing to review. 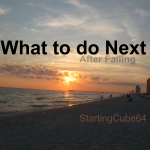 With Cube 66 being the last episode of Season 1, it’s a really good one to leave up for anyone, new or old. August is traditionally a rough month for media. People tent to be on vacations & out of their normal routine. During August I traveled a bit myself & had sick children to take care of, a sick dog too. It’s been good to take time today to review such great episodes. 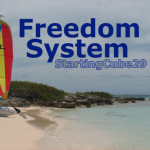 One of the most practical Cubes that has been released, the practical steps are steps that anyone can take to make a dream a reality. I’m at a point where it could be easy to just settle into the life that I have, but there are desires of helping more organizations and businesses that cause me to want to add and subtract from my life. Projects I need to just put a due date on & start working. Might be a novel, might be a program. A key for me is to have enough time or margin in my life and that means I need to work on that other side & drop some demands on my time. This is a really good episode & I can see why it was the #1 downloaded in August 2011. 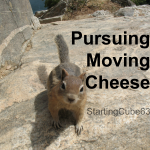 The phrase “moving cheese” is a reference to the book Who Moved My Cheese? a story that goes through dealing with change. Free is a wonderful book, which I received in audio form for free, but then I purchased two copies of the physical book. One to keep in my collection & one to share with people. 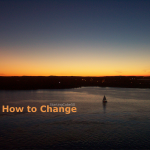 A key element of this episode is that change will happen the question is will you be ready to deal with it or not? Change seemed to be in the air in August. This one looked at what some small businesses were doing, along with one mindset of an NFL Player during the 2011 labor dispute. The most interesting comment to me this time I listened was Ray Lewis talking about how business is about putting people together. It’s a good insight from this man who I have learned to respect a lot over the past year. This is a great piece that is well worth listening to on a regular basis, thus not a surprise people have shared it & returning to it again and again. That’s something worth hearing again and again, too. 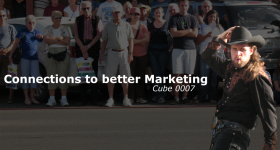 “Start Wiring Now” is a great message, and this cube shows great reasons why. Look longer term is another message from this that rings true to me. You have to do stuff that plants crops that you can harvest later on. See a theme of the top downloaded episodes this month yet? Find what works & do it over and over and over. Does not sound glamorous, it could be, but it is a key lesson & how you get to a large collection of anything. You know who always wins. Keep that in mind & keep striving for your dreams. One of the great things about how we have done Starting Cube is that the content is evergreen. An episode might hit you one way today & a totally different one in a year. That’s why the Random Artwork page is a great way to get a daily dose, just fire it up & see the suggestions, pick the image that you like & listen. Today I have a special update. As fans have picked up on, many of the recent cubes have been about changing, improving, and failing. This has not been just due to the great messages all hitting at once, but has correlated with events in my personal & professional life. Now, a little about what has happened & what I am thinking. The idea was simple, provide a starting point & see what happens. Twice a week, a short audio podcast for people to chew on. The style has shifted & changed over time, with more creativity of piecing together parts being the most recent focus. The thing is that doing each episode takes a good bit of time, something we all have limits on. My strengths are well-known, they involve organizations, systems, people, communications, processes, and other social science stuff. 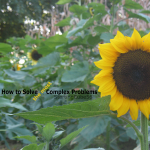 My passions are pretty simple too — private solutions to public problems, I have more but that is the overarching theme. I see that ringing true for all organizations & for all people. That’s the area I have to work on, both as an individual and as an overall organization – that StartingCube is just a small mart of. 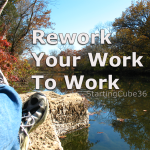 2. less cubes per week – I’ve considered committing to 1 new cube per week & might go with this if I feel that some discussion or communication, or even a new podcast could be developed to help people more. This is sorta the middle ground. Bottom line is I will continue to go through audio, video and other media & want to share great stuff to people I believe it’ll help. I will continue to promote people I believe in and causes I want to see succeed. That’s just a part of who I am. 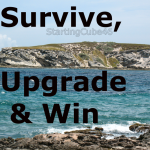 Thus, I don’t see StartingCube ever truly dying, but the release could be sporadic. The best thing one could do to keep up with releases is sign up for the email list. Seems like just last week the Top Downloads for June 2011 was being released, but here we are, one month later & many new episodes. Work on Cube 60 is already underway, Cube 50 had just been released when the Top Downloads for June post was released. People who take responsibility for their own security are better off, no matter if you are in the self-employed category or not. I think part of the draw to this episode was the $100 Start-ups part. There are many $100 Start-up options now a days, especially with us being in a service based economy, where if you have knowledge and the ability to communicate, you can find people to coach, train, teach, consult, advise, or encourage. A very special cube for me. 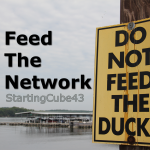 It sums up some of the major reasons for doing StartingCube. 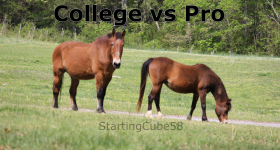 An ironic thing is that by doing StartingCube I have had to be discipline enough to consume more media, take better notes, and produce on a consistent basis. I am better as a coach, entrepeneur, investor, father, friend, and person by doing his. The presentation by Tim Harford has been one I have shared many times since this episode. Another economist, Mike Hammock, first introduced me to Tim’s writing. He recommended the book The Undercover Economist. It’s a good starting point for anyone interested in economics, but don’t want to read a textbook. This one was a playful take on freedom. In the picture, the wakeboarder is being drug by the boat. To wakeboard, do tricks, or really make progress he must not be “free” of the boat totally, but at the same time, the wakeboarder and not the captain of the boat decides what he does at the end of the rope. One way the captain could attempt to control the wakeboarder is to cut the length of the rope. This would insure the wakeboarder would not go “out of bounds” but would drop much of his creativity and options, thus giving an inferior run. Many times, this is the same thing that happens when centralized panning happens. Yes, people do as the “designer”/”leader” desires, but the result is inferior to what it could have been. and offer them enough security. Without those steps, it’s hard to build greatness. Now the security is relative. When building the Golden Gate Bridge, by modern standards, there was very little security provided the workers … but there was enough. Want to demoralize or run off all the great people of your organization … cause them to wonder if they will be jumped on the next meeting. T#3. 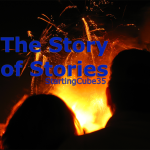 Cube 51 – The Right Stuff !?!?! The decisions we made in the past got us to this point, but we don’t always look at the big picture. Some decisions have a low long term effect, others set our path in a verity of ways. The biggest things one can do to limit options are go into major debt, or secure major assets that are hard to sell or move (like a big house). So, are you a monkey stuck eating oranges handed to you … do you want to be something better? The past few episodes (including Cube 60 to be released tomorrow) have been interesting. I have been very happy with the results, but they have also been harder. I would love some feedback on them & am looking for people who would like to help out. Let me know. The other thing I know is that going back and listening to old episodes of StartingCube has been really good for me. Hope you try the same. Just seemed like a quick month. Something about summer & the stage of live I’m in makes it go by quick, but here are the top downloaded episodes in June and some of my thoughts on each. 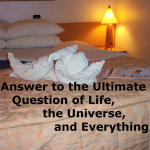 This was a fun episode because I worked in so many geeky jokes referencing sci fi, like Hitchhikers Guide to the Galaxy, where both the number 42 and the “Answer to the Ultimate Question of Life, the Universe, and Everything” play a role in the story. One that had a major impact on the more technological culture (or geeks). Thinking of this combined with a prior Cube 28 When Blocked You … which looked at how the internet has changed the thinking of societies. The government attempts to prevent what the citizens want by locking down the internet & the citizens work on a solution that gets the word out. Most people don’t have a proper perspective on risk, nobody has a perfect understanding of all the risks we take on throughout life, but this episode highlights one major risk all employees take on and few realize. 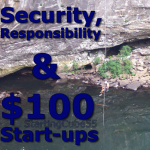 A key to dealing with this risk is not starting a business. Many people who do still have most if not all their income tied to them doing something on a regular basis. As I see it, there are two things needed. 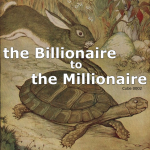 First develop multiple ways you earn income. Second, learn more & expand your skills. I grew up running for elections in this special part of the Boy Scouts called the Order of the Arrow. Each election involved some candidate forum that in some regards is similar to what happens at the end of Survivor. Anyone running for office, or doing any sales, marketing, or just trying to convince someone else of anything should listen to this one. Rob did a very skilful job working with people. Still a great listen. I am not sure if this episode or Cube 50 – How to Change is not my “First episode to listen to” but joined they are the first two. 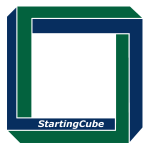 We are coming upon the six month mark of StartingCube, during this time a good part of time has been focused on finding great cubes that I and others can use to build their dreams. The biggest thing is that I have kept my mind focused and filled, it has helped. It is interesting that this episode has been in the top 5 downloads every month since it was released. Not bad for a recording made over 75 years ago. I will be shocked if Cube 50 – How to Change is not one of the top downloaded episodes in July, if not longer. It really explains why I do many of the things I do, both on StartingCube and other places. One idea is to have more posts highlighting sets of cubes. May was an interesting month for Starting Cube. A series of four cubes focused on Motivation & Uncertainty was released during two weeks, all are in the “top 5” downloads for the month. We also had the look-back at April & the first four months of StartingCube, partly to see if people continued to listen to those same episodes. One stayed in the top 5, and the others all were downloaded, but the number of downloads in May changed. Not a surprise, the new episodes are promoted more. Really I am going to look at 7 episodes, because the last four had the same number of downloads. A big focus here was “What is ‘the market’?” and what are we all trying to do with our lives. One of the draws to this episode might be that the two people in it are not only studied in economics, but also make art & collaborated together on two rap videos with the purpose of educating people about both economics & history. This was the first of the series of four on Uncertainty & Motivation. 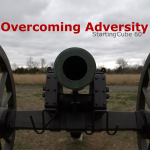 It also makes me think of Cube26 with Conan talking about how we all are just trying to make it through [another great episode to listen to when uncertain or unmotivated]. To build a dream, you will need to tell a story, for you need more people to make it happen. 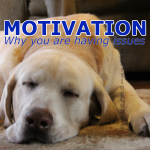 Money is not a great motivator. It use to be, but it is not now. 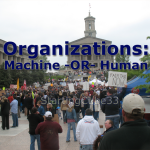 This episode gets into lots of examples of how less and fewer people are living in a “manage making sure they work” situation, either due to organization restructure or just people seeking out work that is fulfilling. I once told a guy that I did not care about money. He did not believe me. Today, years later, I know that yes I do some stuff for money, if the money is not good enough (or opportunity not good enough) then I don’t do it, but it’s still not my primary reason for actions. People of my generation, and I am not sure which one that is, fit this to a higher degree than generations before who were indoctrinated to having a money focused world view. I’m still a capitalist, but that is because it’s the best way to improve the world, not because of my wish for stuff. Part of the Uncertainty & Motivation series of four cubes. I put this one first among the ties because it is the most impressive. It’s been out so long that it should not be able to be in the top 5 again, but it is so good that it is. 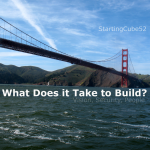 This episode is still the first episode I believe people should listen to, because it explains why taking in an episode of Starting Cube on a regular basis will help you build your dreams. 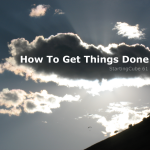 To generate big solutions, products, or changes it takes long periods of time. This time might be at one time, or spread over years. There are different types of distractions that can prevent you from making that big breakthrough, but time might be the biggest one. How do you react to an emergency? What about when your best laid plans do not pan out? One of the most interesting thing to me about the Bible is that there are many opposite sayings, ideas, etc within it. Some take this as the Bible contradicting itself. How could this guidebook tell people to both give give give & save up as much money as you can. The answer I have come to is that they don’t all apply to an individual at one time. Sometimes you need that message of give give give. Other times you need a reminder that you need to save for the future. There are many reasons I work on Starting Cube, but today is a great example. I went through several episodes & am better for it. In May, multiple times I have sent a particular episode to someone because it was a great example for what they are going through & have received praise and thanks. I also know that many people have picked up books, started tv series, and subscribed to podcasts due to first being introduced through StartingCube.com. I thank all who have either sent words of encouragement, or shared episodes with others, or both. What has been your favorite episode so far?